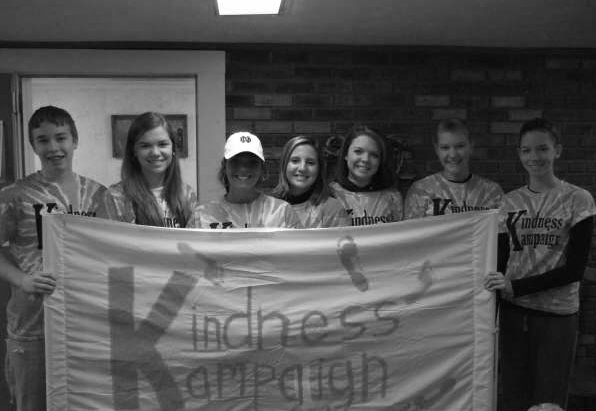 Founded on September 8, 2008, the Kindness Kampaign is a Non-Profit Organization committed to the spread of kindness. 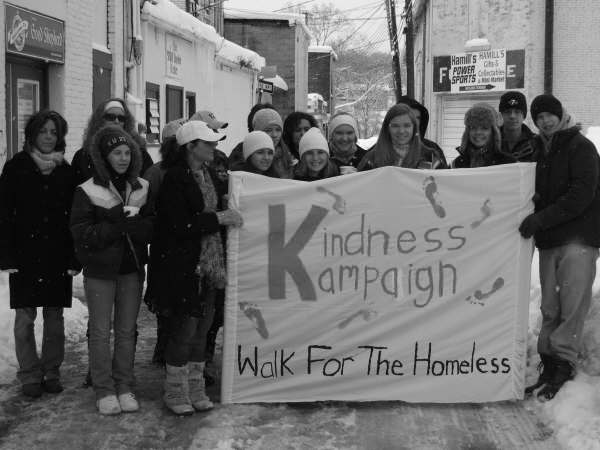 We hold fundraisers for the community and host and participate in service projects in and around Greenville, PA.
One thing we know and can all agree on, is that the world can always use a little more kindness. To lead an unending “campaign” to promote the spread of random anonymous acts of kindness with nothing expected in return. Following the passing of a dear classmate and friend, Greenville High School students gathered with one simple goal; to spread more kindness in our community. Since 2008, that has continued to be the goal of the Kindness Kampaign. We're often asked; "How can I support the Kindness Kampaign? Can I join?" The Kindness Kampaign is a movement, not an exclusive group. Therefore, anyone is welcome to take part. 1. Volunteer to help at our next community event or fundraiser. 2. Wear one of our bracelets, shirts, or perform a random act of kindness! Click below for the shop and free resources (coming soon)! The Kampaign officially started the evening of September 8, 2008 with a simple invitation to friends, parents, and neighbors tying orange ribbons up and down a street in order to let their friend and classmate’s parents know they would not soon forget their friend. Her life, like all human life meant something. Prayers and inspiration followed with additional community projects and fundraisers.